There’s a new development on the way in Marbella that has the whole town buzzing with excitement. 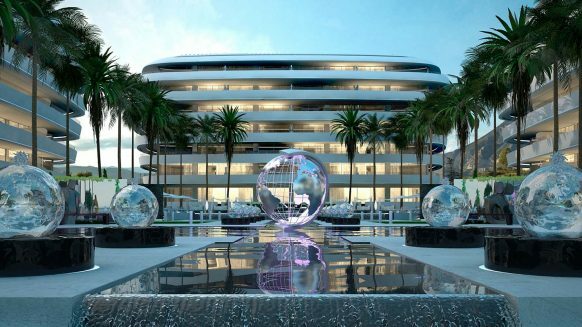 The World Marbella is a project that will build new luxury apartments for sale in Marbella’s most wanted area: the Golden Mile. And the developers are aiming high. On this strip between Marbella and Puerto Banús, some of the most luxurious contemporary apartments in Arquitectonic style will be built, using new materials and the latest technologies in construction. 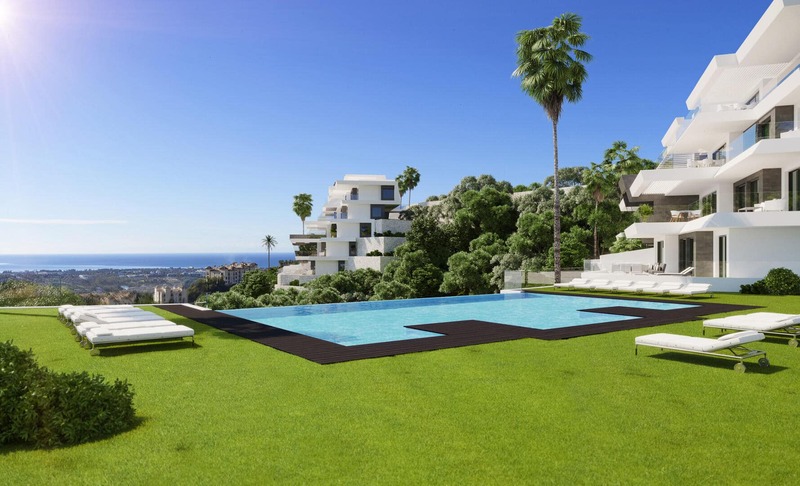 The luxury apartments in Marbella will be part of a complex of five iconic buildings, constructed with the innovative eco-friendly SISMO technology. 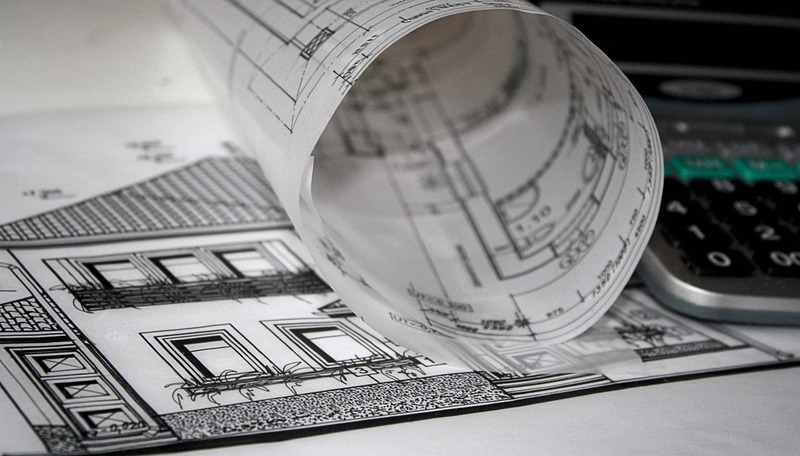 112 buyers will have the chance to purchase a unique apartment, both in style and location. 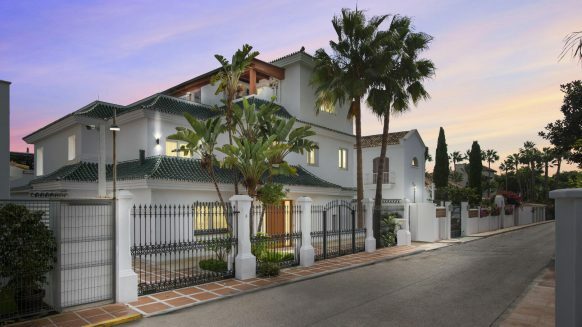 Living in the heart of the iconic Golden Mile of Marbella, you’ll be on top of the game – whether you’re living on the ground floor with the beautiful tropical gardens as your backyard, or the fifth floor with amazing views of the Mediterranean sea. An extended range of facilities like various pools, a spa, gym, social hall, concierge services and sports area amongst others finish off this new residential paradise. But it’s not even the extended services and prime location that sets this new development apart from the rest. 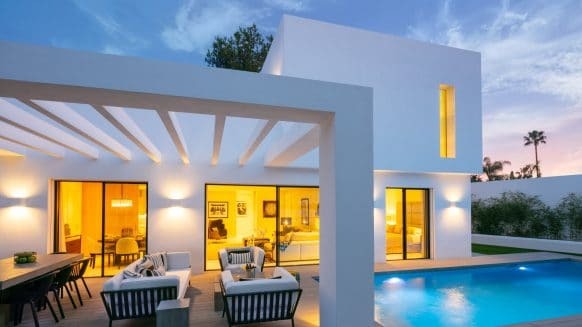 The thing which will make you want to buy one of these luxury apartments for sale in Marbella is this: their incredible design. High ceilings and full size windows are only the start – everything, from the custom private sky terraces to the spacious interiors are designed in a contemporary futuristic style which wows anyone who views it. Just have a look at the photos and see for yourself why everyone’s talking about this. Described as “minimalist, elegant and personal with clean stylistic lines”, the developer has created an artistic design not just for the individual apartments, but for the complex as a whole. It has been designed as a response to the demand of buyers who envisioned a “boutique” design of luxury property. And they definitely got the right idea. 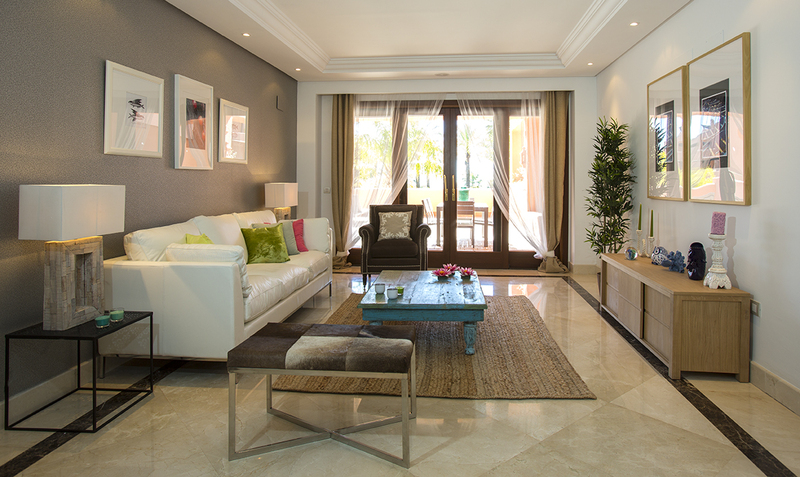 The internal and external modern design fits perfectly into the up scale style of Marbella’s Golden Mile and its visitors. 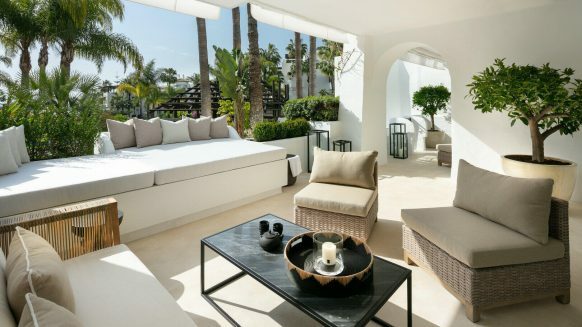 If you want to experience the Marbella high life to the fullest, then make sure you buy one of these apartments for sale in Marbella on the Golden Mile!